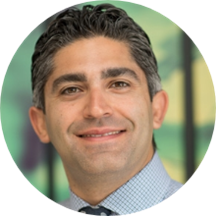 Dr. Hamed Vaziri received his dental degree from the University of Pennsylvania School of Dental Medicine which is one of the top Ivy League schools in the country. As a student he was always involved in different research projects and he has published couple of papers in peer reviewed journals. After completing dental school he was accepted into one of the most prestigious programs for orthodontics in the world: University of Connecticut. For those who do not know, University of Connecticut offers an education from faculty that has become legends in the field of orthodontics. At University of Connecticut, Dr. Vaziri also got experience treating a vast spectrum of patients. His research project for his master of dental science was focused on finding methods to accelerate orthodontic tooth movement. His education and research background has made him a strong clinician that is now apparent in his orthodontic treatment planning and patient management. Dr. Vaziri believes in practicing the highest quality of orthodontics using an evidenced based approach. In his free time he enjoys traveling, photography, skiing and spending time with his family and friends.